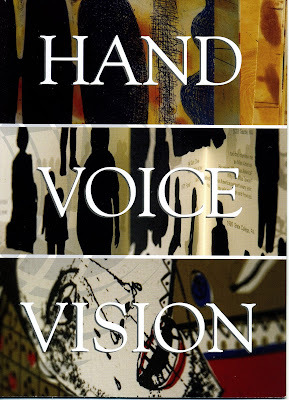 HAND, VOICE & VISION exhibit at the Grolier Club celebrates book arts. 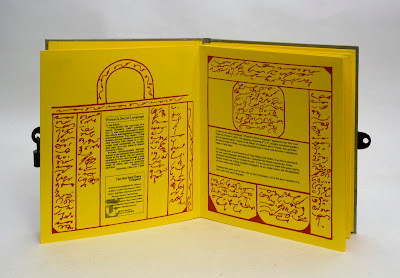 The work of thirty-six artists published over the last thirty years by the Women's Studio Workshop will be on display at the Grolier Club from December 8, 2010 to February 5, 2011. Explores the beauty of mating rituals. discover the splendor of sexuality. How to Eat Your Enemy, 2006. 1/25. 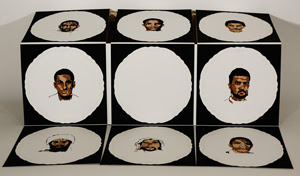 the infamous Most Wanted Iraqi card deck. Letterpress and silkscreen. Jacob's ladder-fold. Curated by Kathleen Walkup, Hand, Voice & Vision is a comprehensive retrospective featuring some of the most influential contemporary book artists in America. 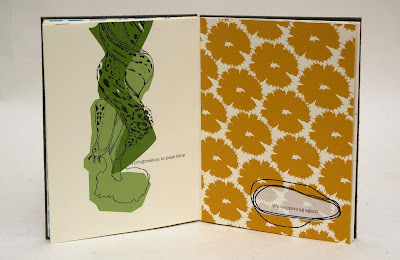 It highlights three facets that characterize the artists' book program at Women's Studio workshop: the hand-made mark of the book-maker, the unique voices and viewpoints of a broad and diverse range of artists, and the visionary nature of artwork that forges new directions in the medium of book arts. 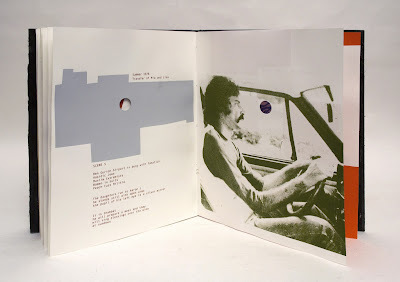 Skim Milk and Soft Wax, 2008. 1/36. None of Your Damn Business, 2010. 1/55. 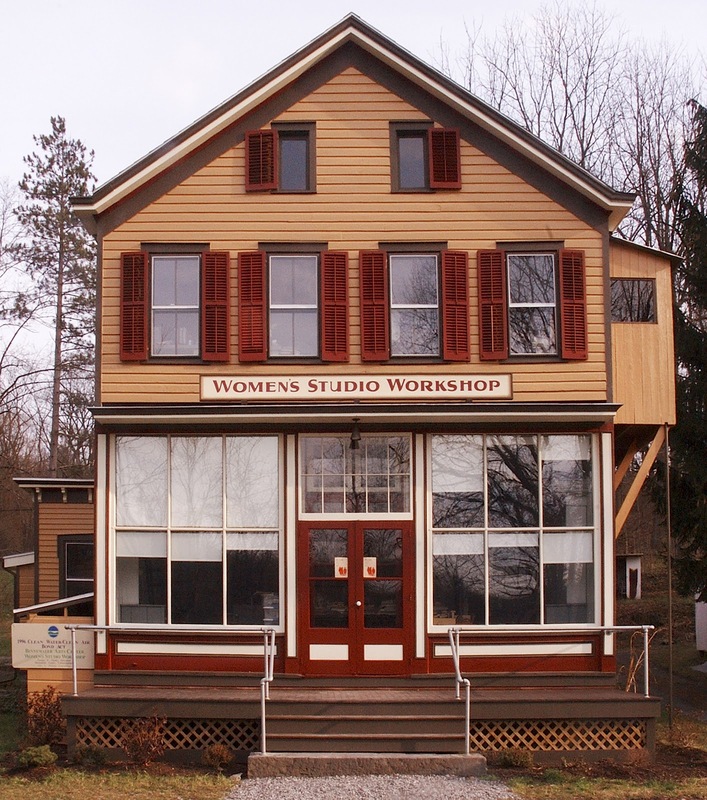 Woman's Studio Workshop was founded in 1874 by four artists committed to developing an alternative space in which artists could both create new work and share skills. Ann Kalmbach, Tatana Kellner, Anita Wetzel, and Barbara Leoff Burge established programs that were centered on the artistic process and often informed by feminist values. Seven Lady Saintes, 1985. 1/90. of seven female saints. 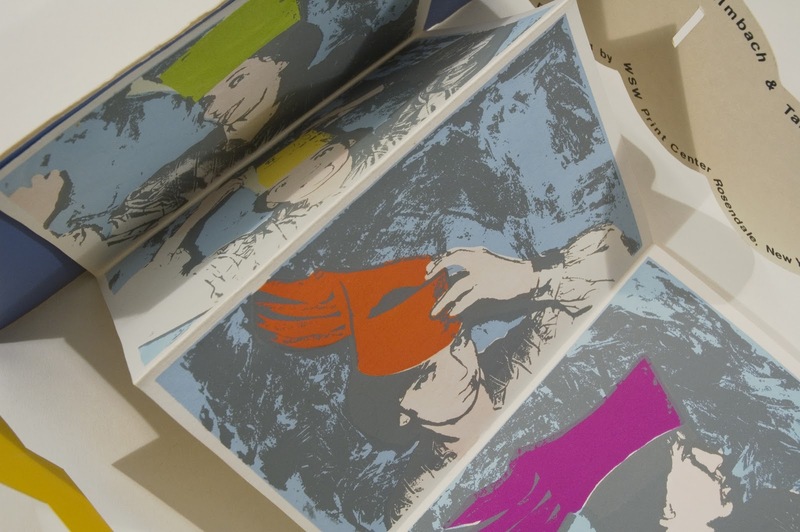 Silkscreen. straps secured with bullet casings. 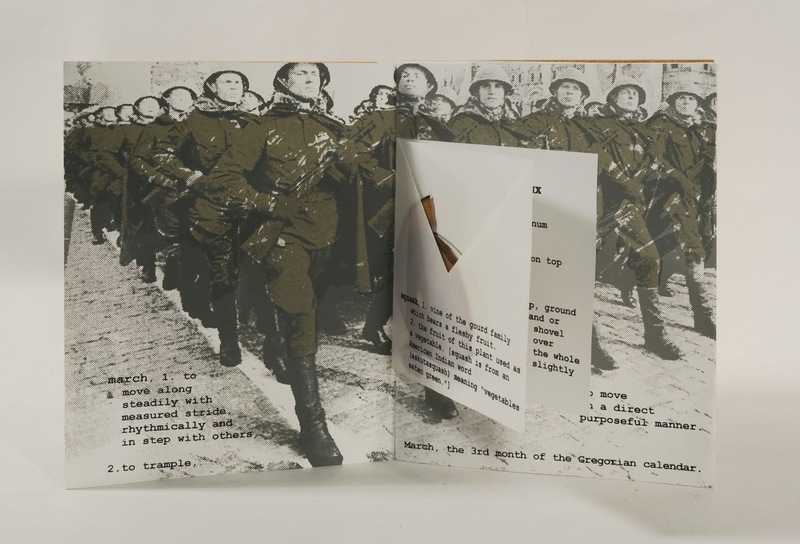 In 1979, the Woman's Studio Workshop established a publishing program for the production and distribution of artists' books, a genre of creative work focusing on the book as a material object. Fifty Years of Silence, 1992. 1/50. of her father's forearm w/camp tattoo. Silkscreen and cast handmade paper. to the floor. Silkscreened accordion strip. in the fabric of intimate relationships. 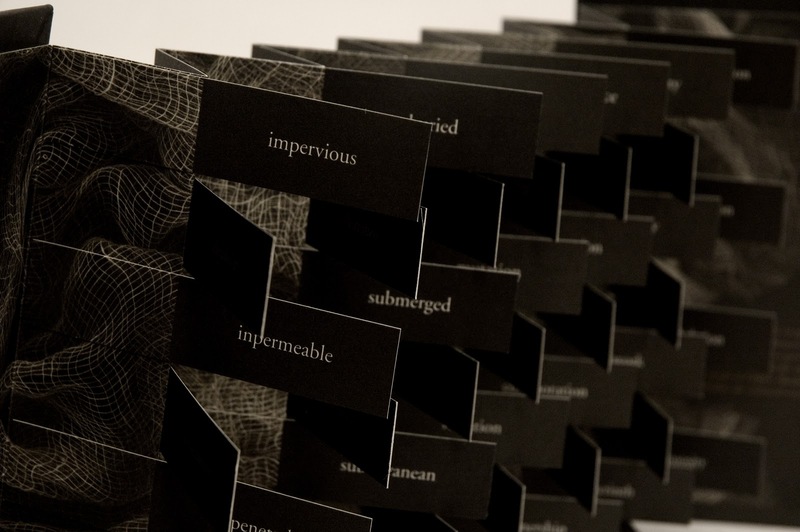 Flat book opens into a sculptural piece. Thirty years later, the Woman's Studio Workshop has published more than 170 books from its etching, letterpress, silkscreen, and papermaking studios. 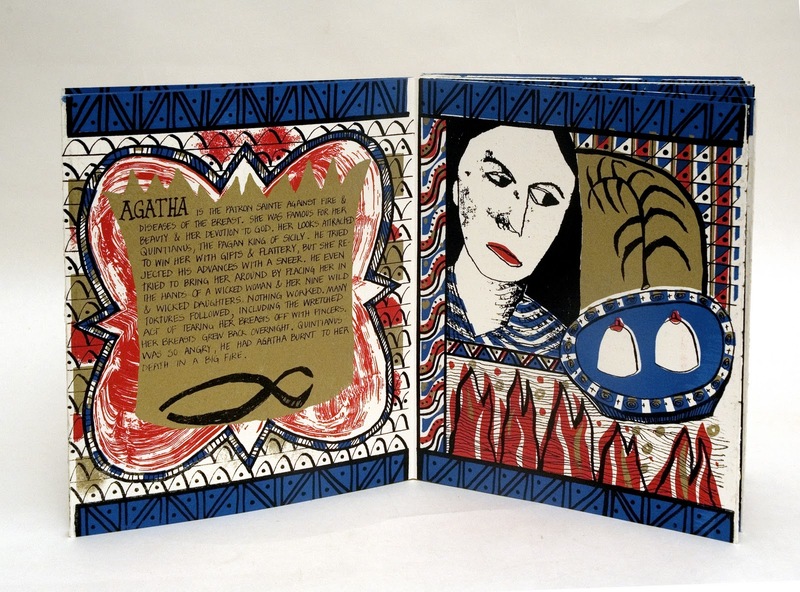 It is now the largest publisher of hand-printed artists' books in the United States. All images courtesy of the Grolier Club and the Women's Studio Workshop, with our thanks. 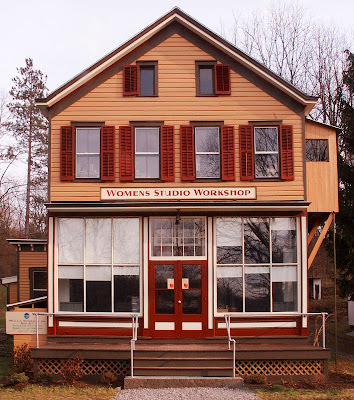 View the entire archive of the Women's Studio Workshop here.